Sometimes An A/C Repair Is a Simple Fix. 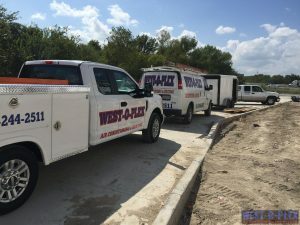 When you need an air conditioning repair in Fort Worth, TX and surrounding areas, you can count on our commercial experts at West-O-Plex Air Conditioning and Heating to get the job done for you right away. When air conditioners are not serviced regularly, they come pop up with problems left and right. They can also develop problems from being old or not having their filters changed. Regular air conditioner repairs need to be done in a timely manner in order to avoid other problems from happening. A small issue can turn into something much bigger in no time at all so when you need an air conditioning repair in Fort Worth, TX, call us right away at 817-244-2511 and we can get help to you. An air conditioning repair service is usually done pretty quickly and almost always completed in the same day. Unless it turns out that the A/C is shot and we end up having to do an air conditioning replacement service, we may have to wait until the next day to do that, just so that we can order the new unit or go pick it up. An air conditioning replacement is not as big of a deal as you may think that it is. It does take a while to get it installed and then check to make sure it is working properly, but the job will be completed the same day we show up. We always work hard to make sure that we get your repairs done in a timely manner. Another thing we will never do is try to get you to replace your old unit before it is time. We check everything and always try to make the repair before we bring up the idea of getting a new A/C installed. The same applies to commercial air conditioning repair service. We always want you to have trust in us and if it seems like we are trying to get you to pay more money for something you don’t need, that is not us. Other companies do this, we never will. The technicians at West-O-Plex Air Conditioning and Heating, care about you and your home and want to make sure that you have the best experience possible. Problems can arise all sorts of ways when it comes to your HVAC system. 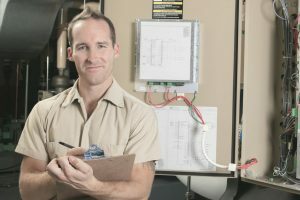 You can always come out for an air conditioning service and repair and a certified air conditioning repair contractor will be able to come out and take a look at what you have going on. An inspection will be done and this way your whole unit will be looked at and not just the issue at hand. We are looking for areas that could have started the problem or areas that have been affected by the problem. A central air conditioning repair service is often just what you need to get your unit back up and running like new again. Below, are a few common repairs that we see often as an air conditioning replacement company. A/C Not Blowing Cold Air – This could actually mean a lot of different things like your compressor is not working or that you have a leak. The very first thing that you should do in this situation if you have not yet done so, is to change your air filters right away. If the problem is persistent, call us and we can come out and see what is going on. A/C Isn’t Turning On – A few different things could be wrong in this situation. The first being that your thermostat died. If it is on battery system, change the batteries and see if that helps. Also, you will want to be sure that it is switched to the cooling setting and not on heat or on off. If that is not the problem, check your circuit breaker and make sure that it is switched to on. If none of the solutions do the trick, give us a call and we will come out as quickly as we can to inspect it. Weird Noises Coming From Unit – Every noise that you are hearing from your air conditioner can mean something different. For example, a squeaking noise could mean there is an issue with the belt, but a rattling noise could just be that you need to change your air filters. When You Need Us, Give Us a Call! When it is time for an A/C tune-up, don’t hesitate to call West-O-Plex Air Conditioning and Heating. We can do your central air conditioning repair in no time at all so you don’t have to worry about searching around for a company that you can trust. We have been in business for a long time and with that has come over 20 years of experience in HVAC repairs. When you need quality, hard-working technicians for your A/C & heating services in Fort Worth, TX and surrounding areas, call us at 817-244-2511 so that we can help you.